Seven deadly sins, as listed in the Holy Bible; how many among us can say that we have not at some time committed all of them to some degree? 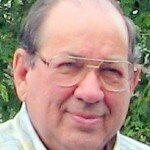 During a recent conversation a participant brought up the subject of “Envy.” His point was to recognize the apparent rampant demonstration of envy in the current political and social climate. I feel, as did he, that it is very evident in the practices and positions taken by the Democrat Party. It seems to motivate their hate for everything President Donald Trump says or tries to do, or even for the man himself. I feel that envy is highly emotion driven and is not always destructive as it is in the current political and social climates. I feel that those emotions were given to us by God to serve beneficial purposes. I pointed out my feeling with an illustration of envy as a motivating force to improve oneself or the direction of one’s life. If one feels envy toward someone for having a certain enhancement or possession, the emotion may and should motivate one toward self-development or improved financial capabilities sufficient to satisfy that need or want-driven envy. Many of these emotions can be beneficial if properly “channeled” to do “good” or improve the direction of one’s life or the life of someone else. 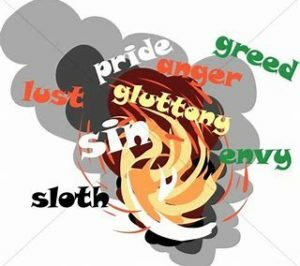 The Seven Deadly Sins listed in the Bible are Pride, Envy, Gluttony, Lust, Anger, Greed, and Sloth. The Bible covers topics relating to sin, repentance, forgiveness, and salvation, among many others, which help provide biblical guidance for Christians to follow to resist the temptations of sin. I believe it is safe to say that each of the Seven Deadly Sins are emotion driven, although each emotion may have a different origin – pride in one’s capabilities or possessions, envy of the capabilities or possessions of others, gluttony at a sumptuous meal or festival, sexual lust, anger at treatment of oneself or the treatment of others, greed when selecting the amount of Halloween candy to take or overfilling of one’s plate, sloth over the weekend idleness or in the manner of dress or speech. Guilty or not? Your decision! The source for the following verses related to The Seven Deadly Sins are from the Zondervan King James Version Study Bible. Note that spelling, sentence construction, and punctuation does not conform to current standards and may appear to be in error. Leviticus 20:13 – If a man also lie with mankind, as he lieth with a woman, both of them have committed an abomination: they shall surely be put to death; their blood shall be upon them. Proverbs 6:16-19 – These six things doth the LORD hate: yea, seven are an abomination unto him: A proud look, a lying tongue, And hands that shed innocent blood, A heart that deviseth wicked imaginations, Feet that be swift in running to mischief, A false witness that speaketh lies, And he that soweth discord among brethren. Ezekiel 18:4 – Behold, all souls are mine; as the soul of the father, so also the soul of the son is mine: the soul that sinneth, it shall die. 1 Corinthians 6:9-11 – Know ye not that the unrighteous shall not inherit the kingdom of God? Be not deceived: neither fornicators, nor idolaters, nor adulterers, nor effeminate, nor abusers of themselves with mankind, Nor thieves, nor covetous, nor drunkards, nor revilers, nor extortioners, shall inherit the kingdom of God. And such were some of you: but ye are washed, but ye are sanctified, but ye are justified in the name of the Lord Jesus, and by the Spirit of our God. Colossians 3:8 – But now ye also put off all these; anger, wrath, malice, blasphemy, filthy communication out of your mouth. Hebrews 13:5 – Let your conversation be without covetousness; and be content with such things as ye have: for he hath said, I will never leave thee, nor forsake thee. James 1:20 – For the wrath of man worketh not the righteousness of God. 1 John 1:9 – If we confess our sins, he is faithful and just to forgive us our sins, and to cleanse us from all unrighteousness.